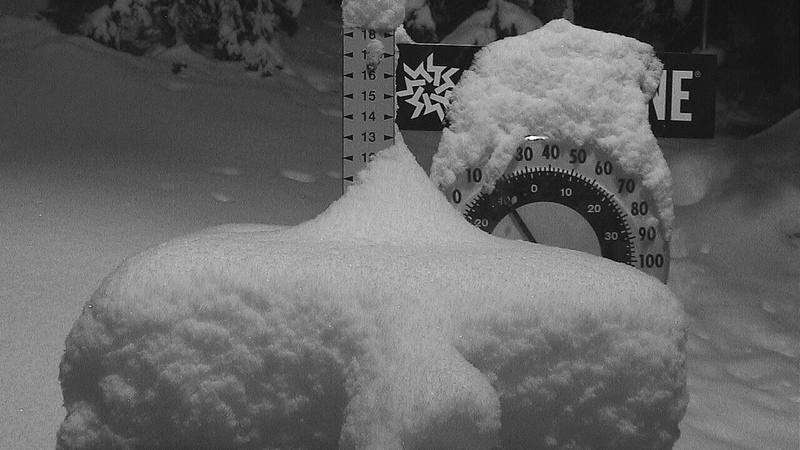 The Keystone Snow Stake was looking good this morning! Heavy snow fell overnight at Keystone Resort and skiers and riders woke up to 9 inches of fresh snow this morning, totaling nearly two feet in the last week. Another wave of heavy snowfall is expected to return Saturday night into Sunday, with the possibility of continued snowfall each day next week into the following weekend. This weekend Keystone will open new terrain on Flying Dutchman, central Schoolmarm, Last Chance, Hoodoo, Gassy Thompson, Freda’s and upper I70 in the A51 Terrain Park. With an abundance of new natural snow and more in the forecast, Keystone Ski Patrol anticipates opening additional natural terrain throughout the weekend. 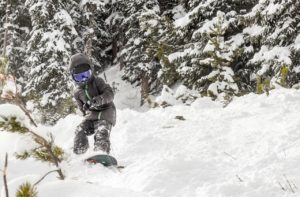 Little ripper, Connor Tyler, enjoying fresh powder on the side of lower Paymaster today. The resort snowmaking team will continue to work around-the-clock on-mountain to complement Mother Nature and assist with further terrain expansion efforts. Last night the snow guns were blasting on Mozart and the team will continue to work their way south on the mountain, with plans to begin snowmaking efforts on Mozart Flats and Prospector tonight in order to prepare for access to North Peak and the Outback. Stay tuned for more updates on terrain openings next week!